Maybe you crave a good burger now and again? I certainly do! 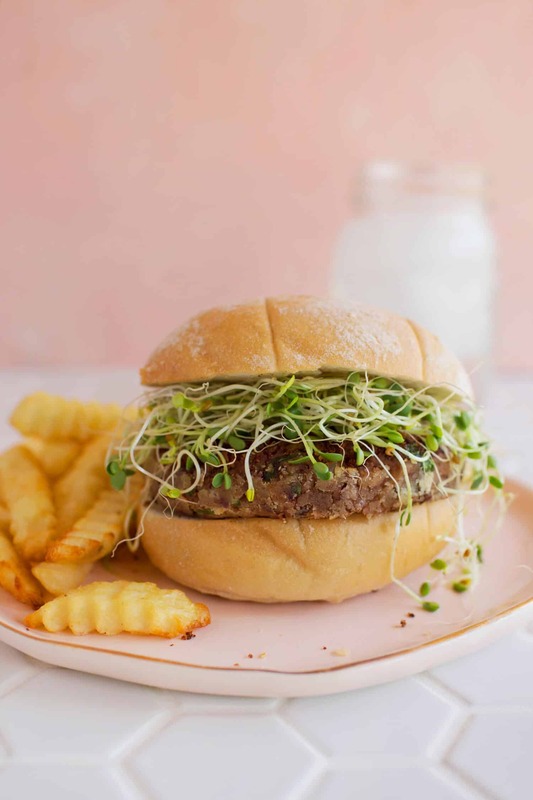 This super easy recipe for high protein veggie burgers features red beans and rice, which is an awesome combo because together they form a complete protein. You can read more information about plant-based protein sources in this article. I am not at all against meat, especially locally and ethically sourced meat. 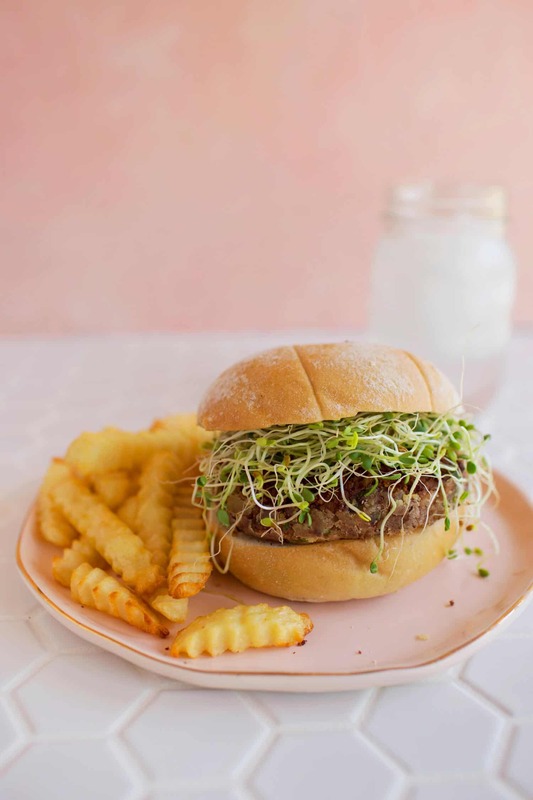 But if your looking for an easy and delicious veggie burger, maybe even one that happens to be vegan friendly, then look no more because this is it. Now let me ask you this—are you a thick burger person or a thin burger patty kind of gal (or guy)? I go back and forth. And while I was testing this recipe I also tested forming 3-5 patties from the total mixture. I think this recipe is best for making 4 or 5 patties, my personal favorite being 5. I just felt the overall texture was better as a thinner burger and they held together better when cooked. I also tested baking these in the oven vs. pan frying in a little ghee or oil, and I think pan frying was a little better. But both worked well. 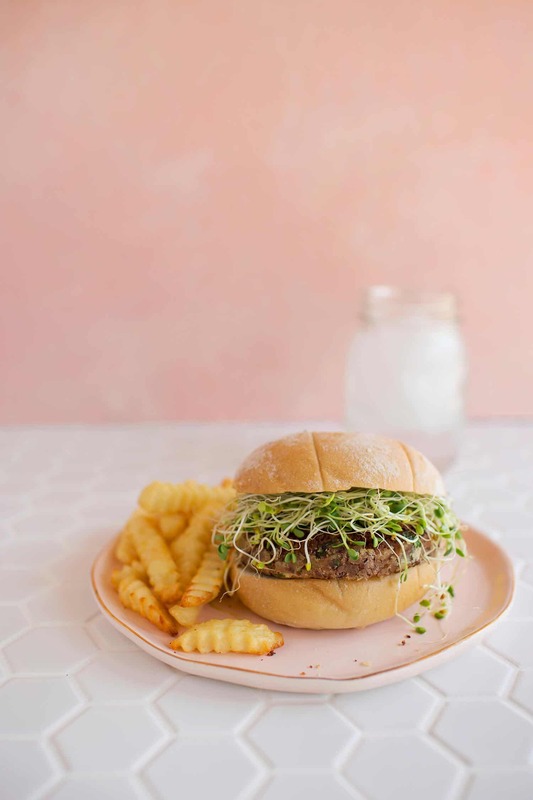 The entire recipe will yield right around 82 grams of protein, so depending if you divide into 4 or 5 patties will change how much protein each contains. But you can easily get 20 grams of protein from just one burger—not too bad for a bunch of plants, right? -For goodness sake, toast the bun! -I love to add a slice of cheese, (especially mozzarella) when I’m eating dairy. -Add more plants! Sprouts rule, lettuce is basic but welcome, add tomato if it’s summer—otherwise, nah. -French fries are not optional. 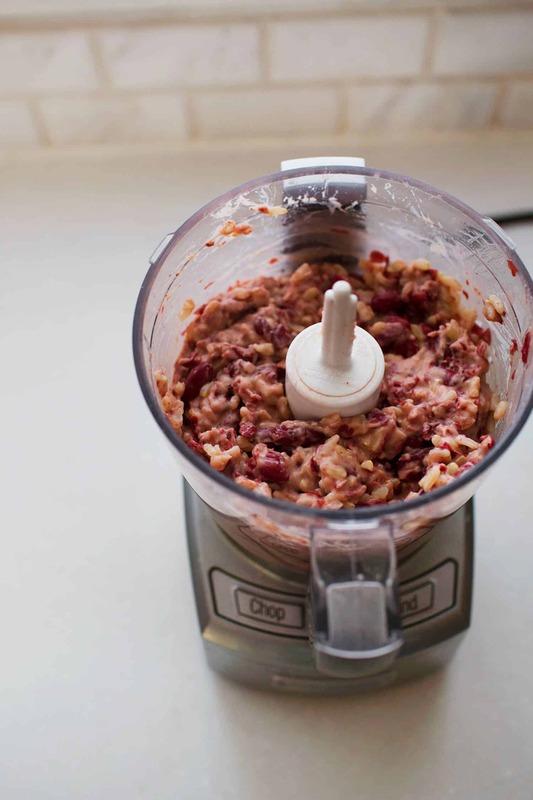 In a food processor, pulse together the beans and rice until well mixed. You don't need the mixture to be completely blended, there can still be pieces of beans and rice visible. You just want the mixture to partially blended so it will all stick together well. 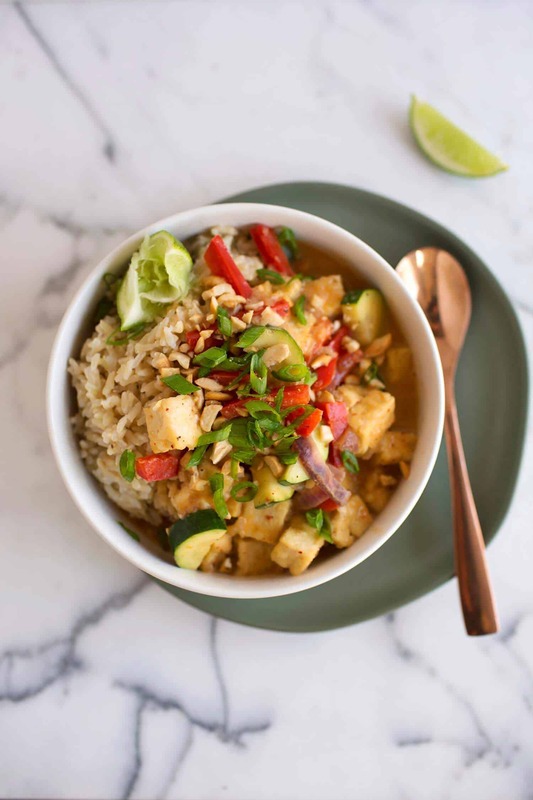 In a large mixing bowl, combine the bean mixture with TVP, pea protein powder, well chopped celery, soy sauce, and the spices. Stir together. Then add the ghee or coconut oil and mix well, I like to use my (clean) hands at this stage, sort of like you're making meatballs. 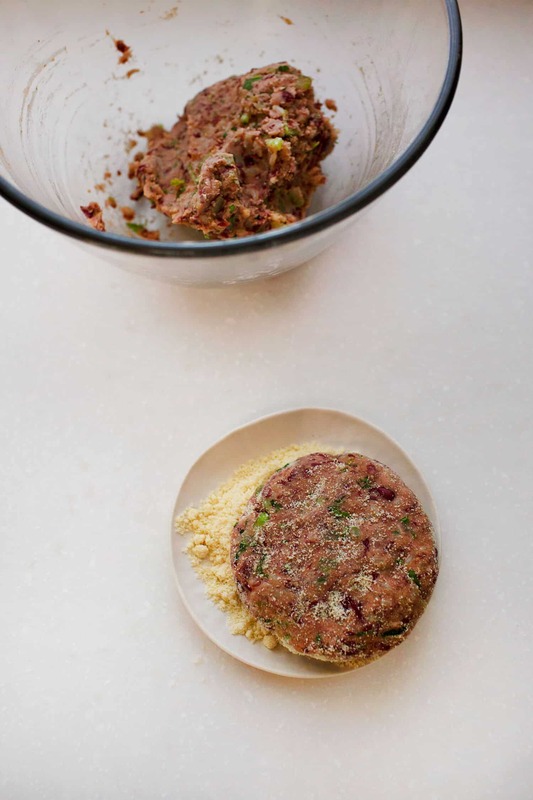 Form either 4 or 5 patties and coat in almond flour. You can cook the burgers right away in a hot pan with a little ghee or oil, or bake in the oven. Any patties you don't use you can wrap in plastic wrap and either store in the refrigerator for a couple days or freeze if you want to save them for longer. yum! although I have to say a burger is really all about the toppings for me XD definitely need the tomato cheese and mustard! 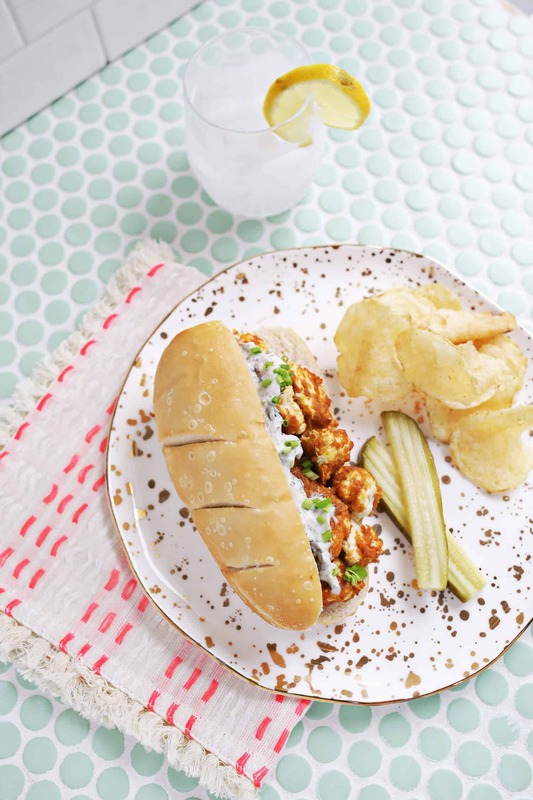 Who wouldn’t like to have some rice and beans veggie burgers?! Yum Yum Yum. This is so nice, looks great and probably going to tastes as nice as it looks. This looks amazing! Totally trying it out for lunch today! Is the TVP re-hydrated or dry? Oh, This sounds so good. I’m making it tomorrow. 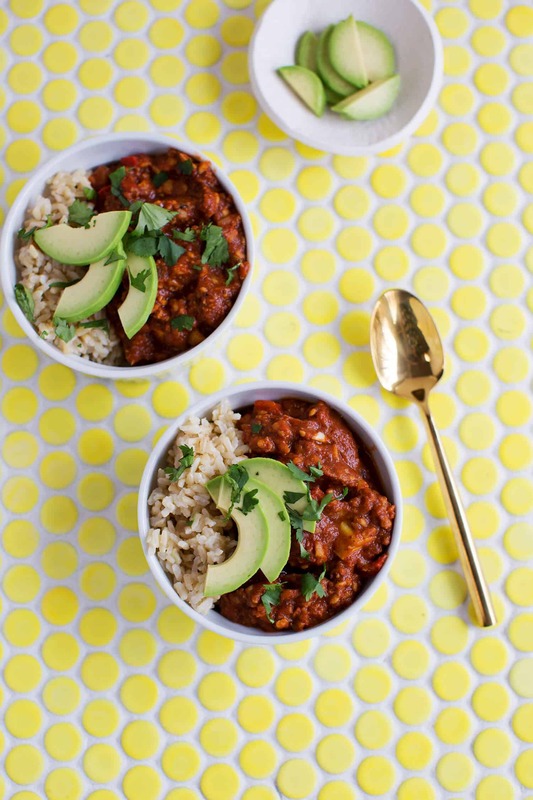 I love finding new ways to do “bean and rice”. 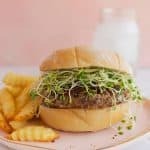 Never tried a bean-based burger, but it sounds very delicious! Oh boy ; pinning, enjoying, sharing ! Thank you ! Any suggestion for subbing the TVP? Thank you for putting this together. I love burger so much but can’t buy them at eateries. So, love that I can make mine at home. I am burgers lovers, I am has been make you recipes miss, and i love it. thanks you for share it :).